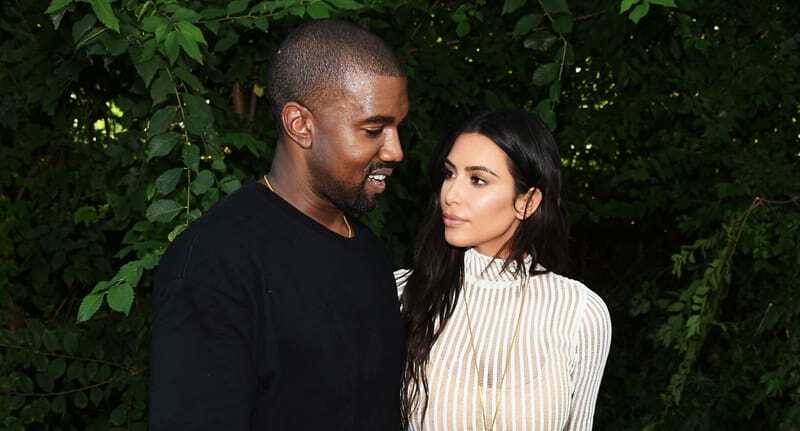 Kim Kardashian and Kanye West have had their third child via surrogate, and there’s ‘proof’ to say the surrogate is from within the Kardashian Klan. The power pair announced they had welcomed their third baby, a little girl, however the timing is strange. This joyous announcement comes just days after rumours that the youngest Kardashian sister, Kylie Jenner, was in labour. Are we still theorizing that Kylie Jenner may secretly be Kim and Kanye’s surrogate? Jw since there were rumors she was in labor and, coincidentally, Kimye’s baby was just born ? Kim confirmed the good news the surrogate had given birth on Monday to a girl weighing 7lbs 60z. We are incredibly grateful to our surrogate who made our dreams come true with the greatest gift one could give and to our wonderful doctors and nurses for their special care. North and Saint are especially thrilled to welcome their baby sister. The surrogate lives in the San Diego area of California but it’s unsure whether the baby was born at Cedars Sinai in LA, where North and Saint were born. In late September, the reality star confirmed she and her husband were expecting their third child during a phone call with her sister Khloe. Kim had previously struggled to conceive a third child, as documented on Keeping Up With the Kardashians. Every medical issue you could probably have, I feel like I get and I worry so much about it. That’s my experience and I’m not going to pretend that it’s not. I just don’t think pregnancy and me really agree with each other? Kanye and I have always talked about having more kids, but after what I went through in Paris, the urgency is even greater. I’d just love nothing more than to expand my family and just know that I have this world at home that is safe and if for some reason I left this earth sooner than I really wanted to, then my kids would have a support system at home so I know they would be OK if I wasn’t there. Congrats to Kim and Kanye on baby no. 3! I hope Kylie is recovering nicely! ?????? Rumours about Kylie’s pregnancy were shot down by several outlets, however die hard conspiracy theorists aren’t letting this one go. Numerous ‘clues’ have been compiled in the hopes this entire situation is more juicy than it seems. In one episode of Keeping up with the Kardashians, Jenner sent everyone pink donuts except Kim – this obviously is a gender reveal and Kim didn’t need to be told because she already knew. Obviously. Aside from that, it’s Kimye’s mysterious nature surrounding the surrogate which has triggered numerous rumours. In November the surrogate didn’t attend the baby shower and Kim explained ‘I would’ve wanted her to be there and be a part of it, but I hadn’t really gone that far in explaining it to my kids yet’. I’m sure we’ll find out soon. Until then, I hope you don’t fall off the edge of your seat.